Hyper-V Replication Monitor. Simple replication health alerting. 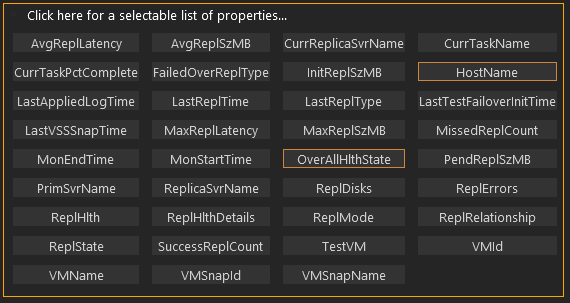 Want Simple Hyper-V Replication Monitoring? 'HV Replication Monitor' is the answer. "Microsoft Hyper-V replication monitoring from one simple tool"
Hyper-V Replication situational awareness is key when your business relies upon replication to keep it going. Can't script? Free PowerShell tools lacking? Get all the alerting properties found in Get-VMReplication and Measure-VMReplication. Hyper-V replication health, customized, preformatted HTML, custom HTML, CSV, or Plain Text. Configure your Hyper-V Replication health alerts. Export your various configurations for re-use. 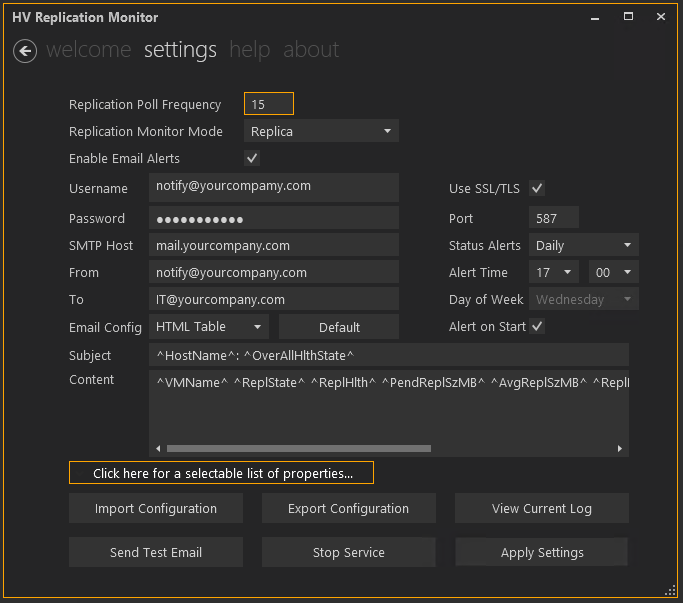 Choose the Hyper-V replication health properties for which you want alerts. Hyper-V replication status report. Choose your replication properties for custom alerting.